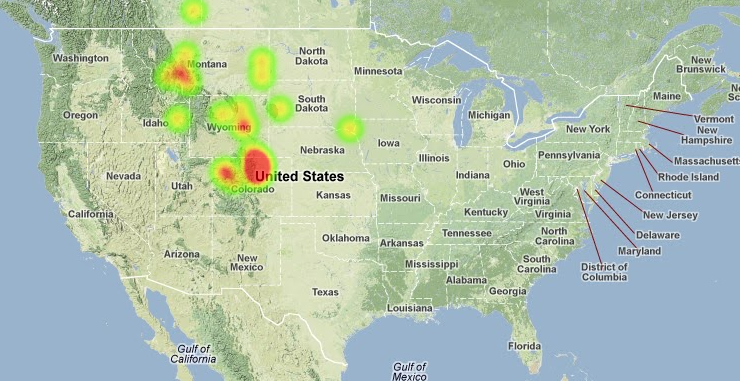 The AMS has received over 30 reports of a fireball over Wyoming this morning. The average time reported for the event is: 2013-03-28 05:45 MDT (11:45 UTC). The fireball was seen over a 700 square mile area from Colorado, Montana, South Dakota, Wyoming and Alberta. Some witnesses reported fragmentation, but there have been no reports of sonic booms. The magnitude averaged brighter than the full moon and almost as bright as the sun. 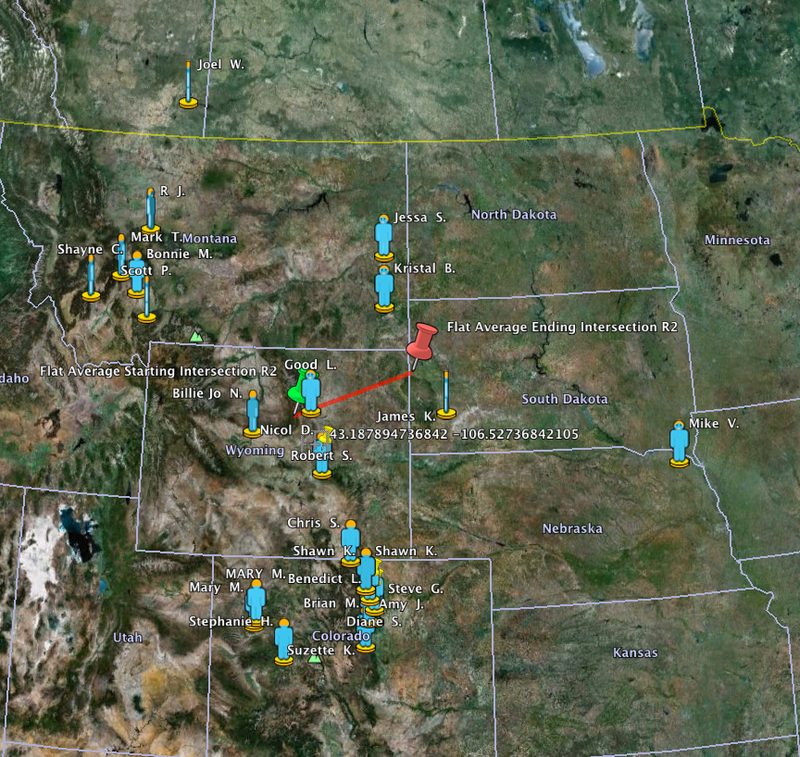 Below is a map of the witness sightings and an estimated flight path of the fireball. Click the image below for an interactive map and listing of witness reports for this event. If you witnessed this event please fill out an official fireball report. Your sighting will help improve the trajectory and information about this fireball event. we were on hiway 250 about 11 miles south of Rushville Ne when we both saw a bright green light streaking through the sky. it looked to be going south to north. It then exploded and dissapeared. I was heading to fort collins from cheyenne wy to grab dinner and I saw these.. I think I caught them much earlyer as one was almost stationary, not shooting through the sky like most of the reports.. it was either much further away, or not a meteor. It moved more like a comet. And I saw one yesterday.